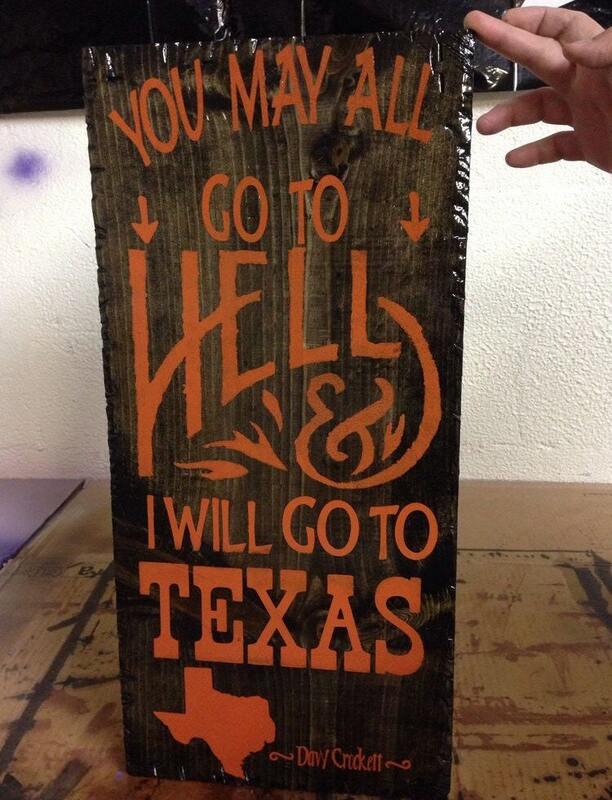 This is a fun sign with a Davy Crockett quote that we Texans love! 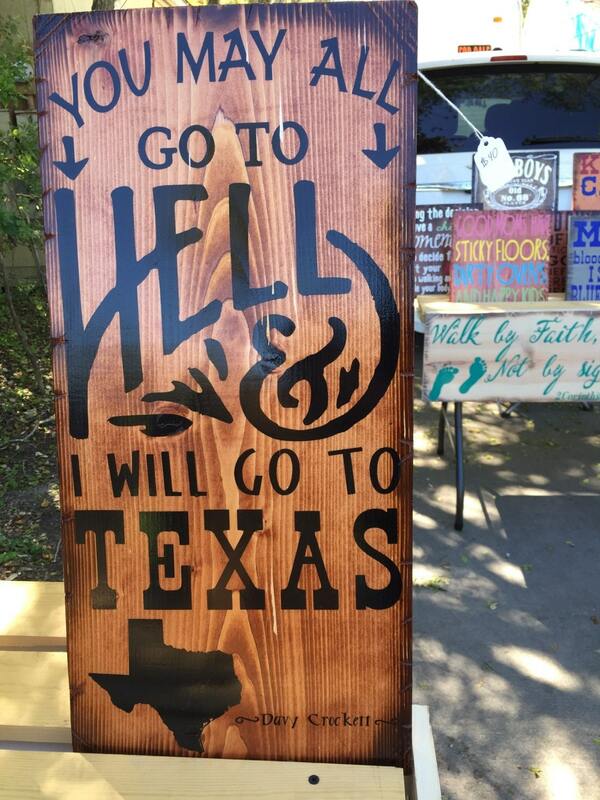 Our signs are all hand distressed, stained, painted, and then finished. They also include d-rings on the back for easy hanging. 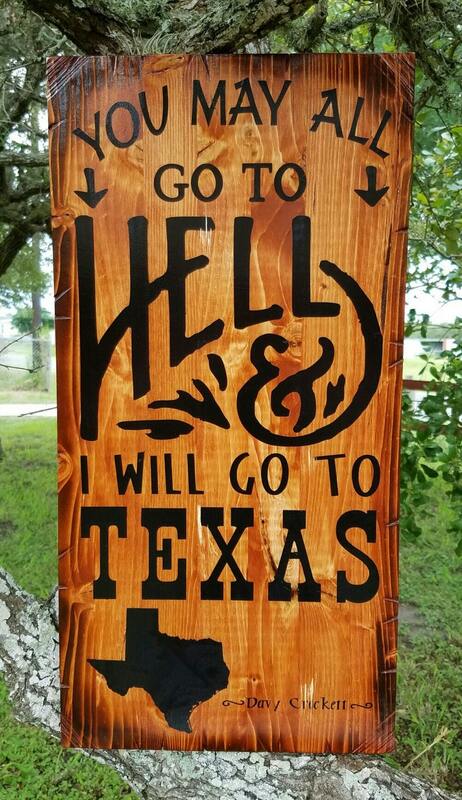 This sign measures approximately 12"x24", and is finished with a glossy sealer. It is stained Ebony and is painted with the orange, or you can also get it with a gunstock stain with black painted lettering.